“Those networks will be perfectly fine — until they are not. And it will be a one-day-to-the-next thing,” said Sam Boyer, an activist turned web developer, turned activist again, who works with the New York City occupation’s tech team. A move away from mainstream social networks is already happening on several levels within the Occupy movements — from the local networks already set up for each occupation to an in-progress, overarching, international network project called Global Square, that Knutson is helping to build. Those networks are likely to be key to Occupy’s future, since nearly all of the largest encampments in the United States have been evicted — taking with them the physical spaces where activists communicated via the radically democratic General Assemblies. The idea of an open alternative to corporate-owned social networking sites isn’t novel — efforts to build less centralized, open source alternatives to Facebook and Twitter have been in the works for years, with the best known examples being Diaspora and Identica. But those developments aren’t specifically focused on protest movements. 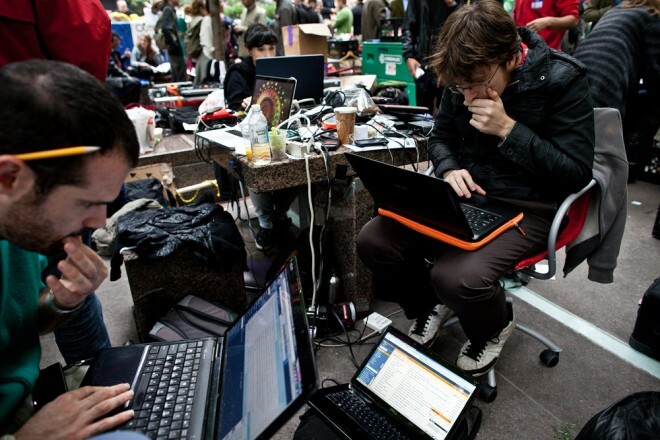 And the Occupy movement’s surprising rise in the U.S. has added new impetus to the desire for open source versions of the software that is playing an increasingly important role in mobilizing and connecting social movements, as well as broadcasting their efforts to the world. One challenge that all of the new efforts face is a very difficult one for non-centralized services: ensuring that members are trustworthy. That’s critical for activists who risk injury and arrest in all countries and even death in some. To build trust, local and international networks will use a friend-of-a-friend model in Knutson and Boyer’s projects. People can’t become full members on their own as they can with social networks like Twitter, Facebook and Google+. To Boyer, it’s more important to identify someone as trustworthy than to ensure that their online name matches a passport or birth certificate. “I respect pseudonyms as long as they treat them as pseudonyms and not as masks,” said Boyer. In other words, someone shouldn’t hide behind a fake name to get away with bad behavior — in an extreme case, infiltrating the movement to spy on or sabotage it. Thirty-six-year-old Knutson, who lives in Milwaukee, Wisconsin, started the year as an observer of politics before evolving into a committed OWS activist. His metamorphosis started during public-employee strikes in February against proposed policies of Governor Scott Walker that would affect their benefits and collective-bargaining rights. While organizing a “Walkerville” protest camp in June, Knutson met, over Twitter, members of Spanish protest movement 15M. They had just built a web site, Take the Square, to track occupations around the world, from Tunisia to Madrid. He also met Alexa O’Brien – founder of campaign-finance-reform organization US Day of Rage and a co-founder of Occupy Wall Street. After OWS kicked off, Knutson came to the East Coast for a while, visiting New York, Boston and Philadelphia and joining with other techies in those cities. Through all those connections, Knutson has focused on building the technology for an international occupations network. But the politics are tricky. “Some of the people in Spain are kind of resentful of OWS, because they got all of the credit,” he said, noting that the Spanish occupations started first and are still far bigger. As a counterpart to Knutson, Sam Boyer focuses on the US occupations, building tech for a collection of interlinked social networks across the country with the working title Federated General Assembly, or FGA. Working on Occupy has brought him full-circle. So Boyer started learning, and falling in love with, Web programming; and he switched from being mainly an activist to mainly an engineer. His specialty is an open-source content-management system for web sites called Drupal, which FGA will run on. For instance, the projects will rely on set of technologies known as Open ID and OAuth that let a user sign into a new website using their logins and passwords from social networks like Facebook, Google and Twitter. 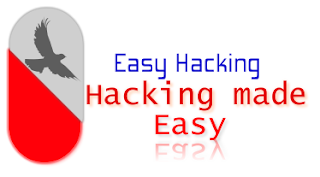 Those technologies let you sign up for a new service by logging into a Twitter or Google account, which vouch for you to the new site without giving over your password or forcing you to get yet another username and password to keep track of. In the new OWS tech, an activist’s local-occupation network can vouch for a user to another network, and the local networks all trust each other, they all trust that activist. Someone can sign into one network and post and comment on them all. Some sensitive posts, say about civil disobedience, would be private. Others, like a statement of demands or press release, would be public, but only trusted members of the network could create them. FGA wants to differentiate itself from the the me-me-me narcissism of Facebook. It has a strong focus on groups — working together on topics like alternative banking or electoral reform. And there’s a lot of work today. Currently, the group aspects of Occupy web sites are a cacophony. “You get there, and the first thing you look at is this useless activity feed,” said Boyer. Every comment – whether a brilliant idea, a troll comment or a me-too pile-on – pops into the list as it’s generated. “You’re only guaranteed that one person really thought that post was a good idea – not the whole group,” he said. In the FGA system, each group has a discussion on what information to push to their home page, such as a description of an event, a blog post or minutes from a meeting. “In the same way that, when you look at Reddit, you know that the articles on top are the most upvoted, the user could know that posts appearing on a front page represent the concerted agreement of the group,” said Boyer. The activist coders also want to be able to push and pull info to and from the rest of the movement. The idea is that they can have disparate systems that label info with shared tags that will, some day, make it possible to enter a search on any one site and pull precise results from around the world. These linkage and collaboration capabilities would be useful well beyond the Occupy movement. “A lot of what we are tying to do is build a better conversation so that this cacophonous discussion can be more coordinated,” said Boyer. As an analogy, he recounted an OWS workshop from a conference on December 18 in New York City when the moderator asked everyone to shout out their best idea for the movement. They were probably all good ideas, said Boyer. But he couldn’t hear any one of them through the noise of the others. The Web of trust among networks, RDF labels that link data across occupations, working-group consensus on what to post – all are designed to help the right people connect to each other and to the right information. “Let the sheer number of people who are interested get out the way of the many things actually happening,” said Boyer. But for now, all those ideas are just that – ideas. And whatever does emerge will come piecemeal. Sam Boyer hopes to launch in the following weeks what he calls a stepping stone — a roster of occupations around the world called, for now, simply directory.occupy.net. M15’s Take the Square site has provided something like that since May, as have other sites. But directory.occupy.net will be unique in using RDF and other technologies to label all the entries. It will also allow people from each occupation to “own” and update their entries. “The directory should be useful, but it’s not our big debut,” said Boyer. He’s hoping that will be sometime in the spring, when a rough version of the FGA social network launches. The Global Square Knutson is helping to build is finalizing its tech and will launch, probably in January, with basic linkages for various Occupy sites to trade messages, re-publish articles and allow cross-commenting on them. “I’d say it would be a pretty major accomplishment to get a couple of the [web site] systems that everyone is using, like ELGG and Drupal and media wiki and maybe Wordpress” to work together, he said.